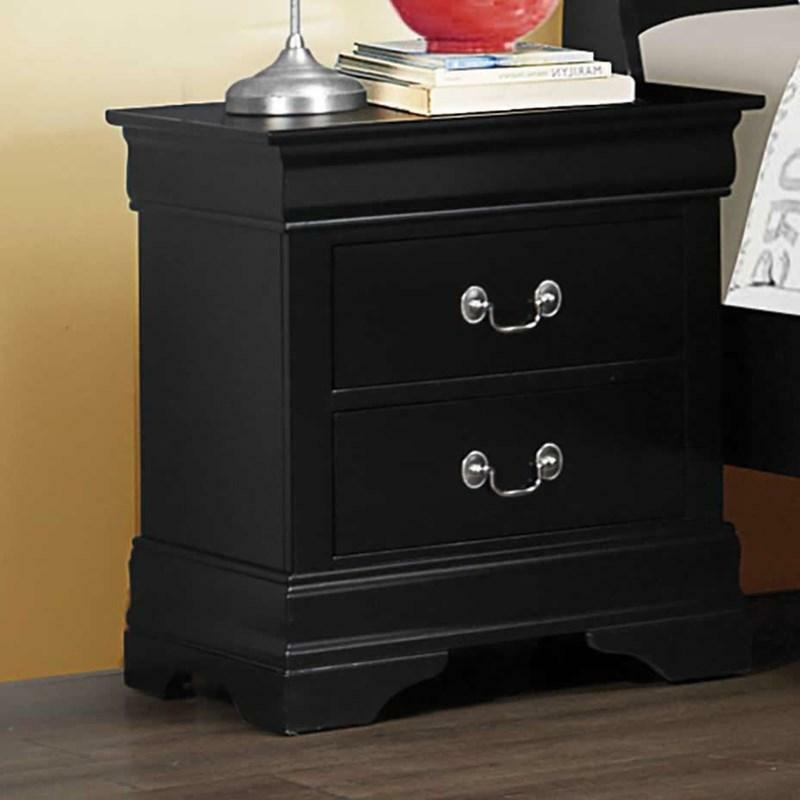 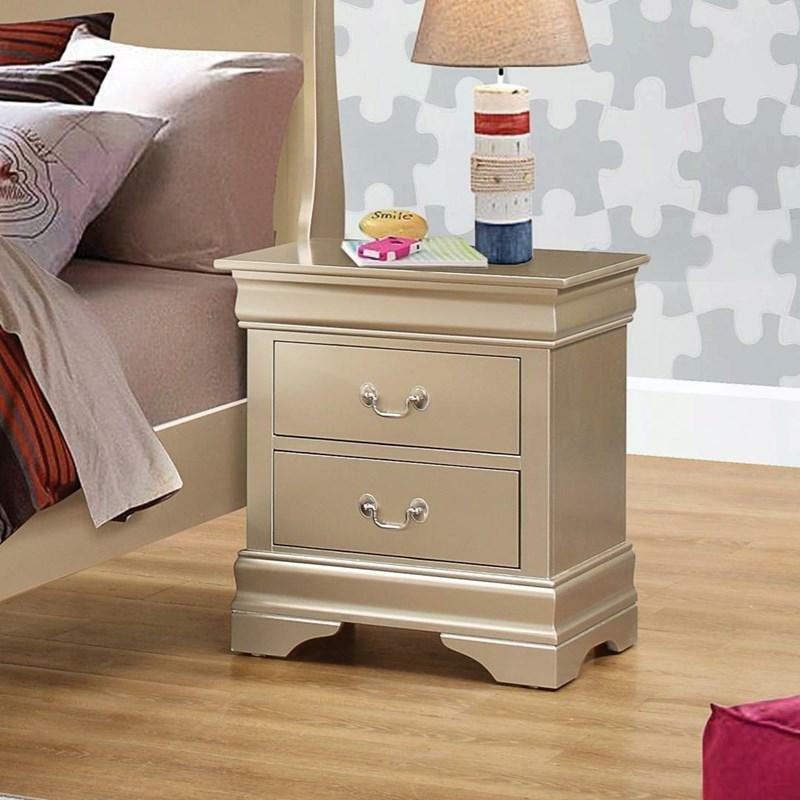 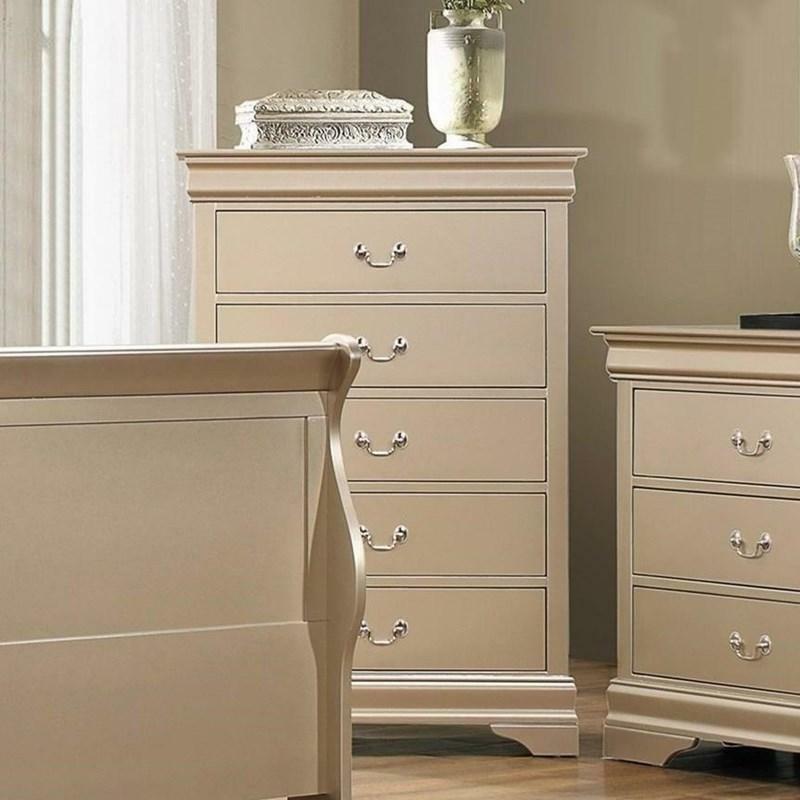 The classical design of the Louis Philippe Nightstand and its two drawers makes it the perfect bedside companion. 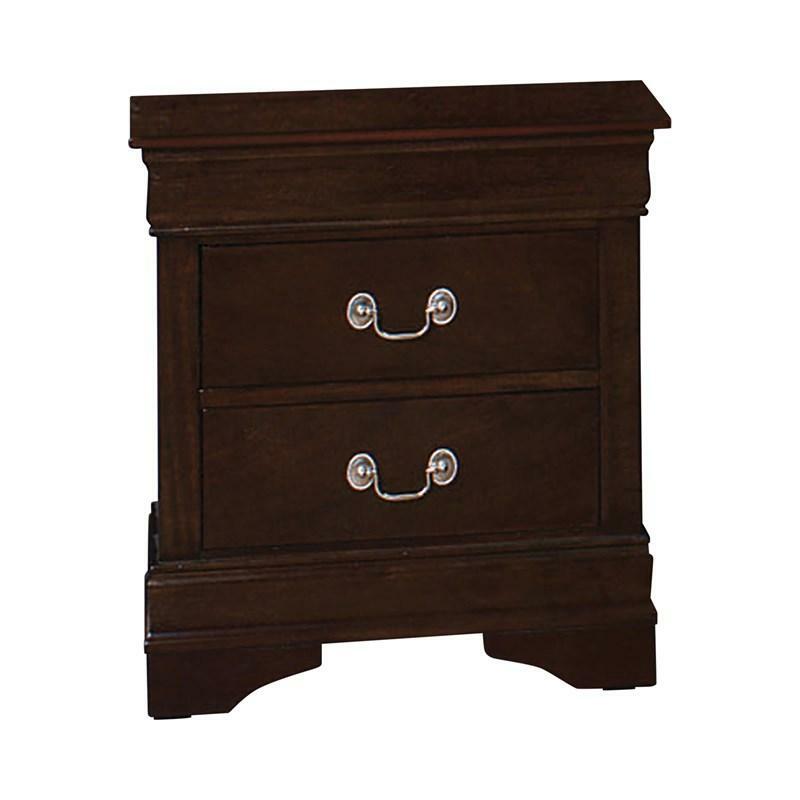 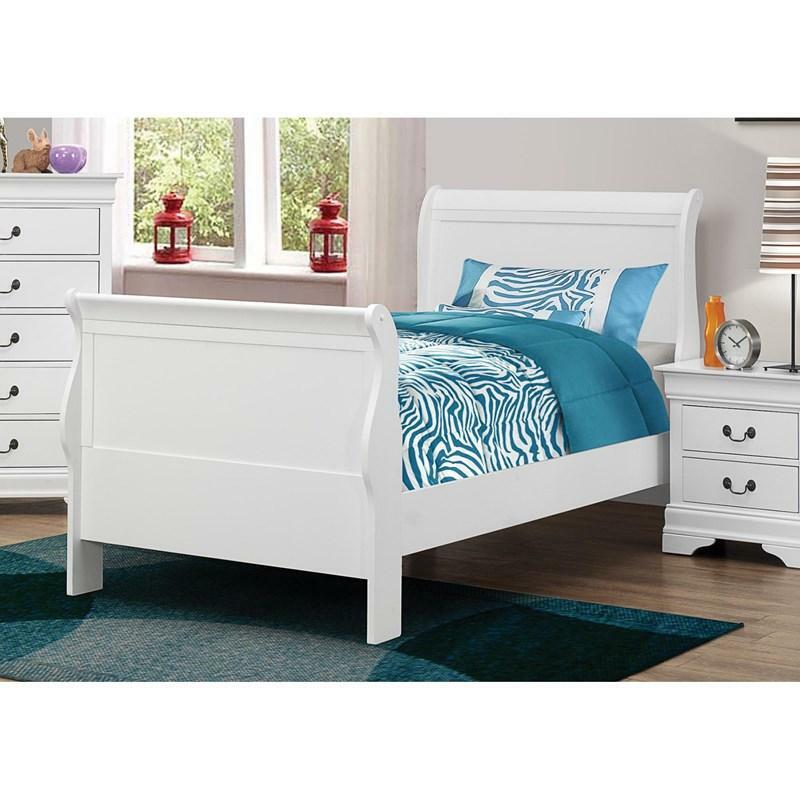 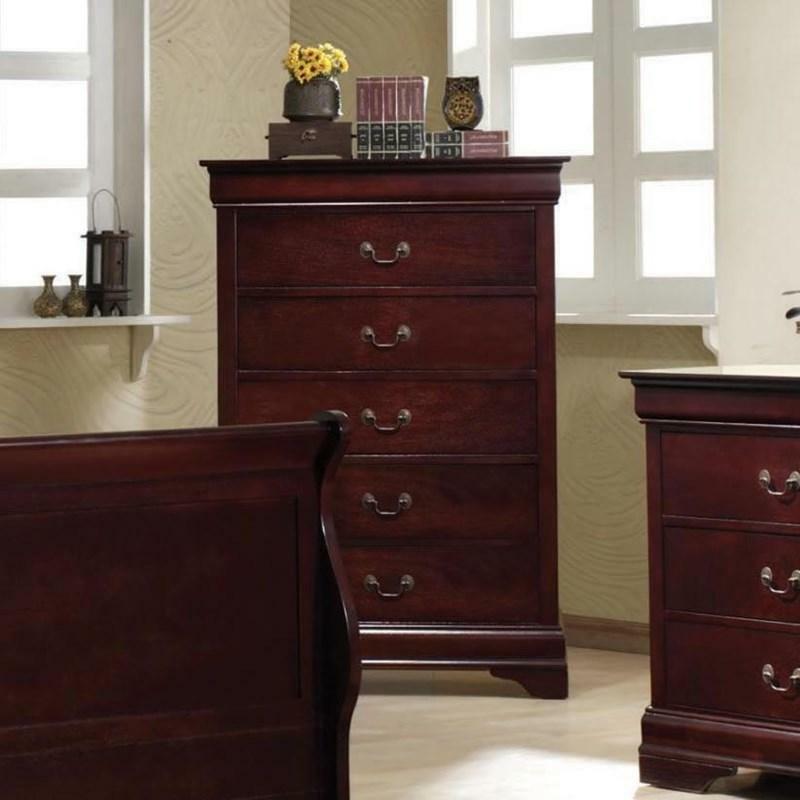 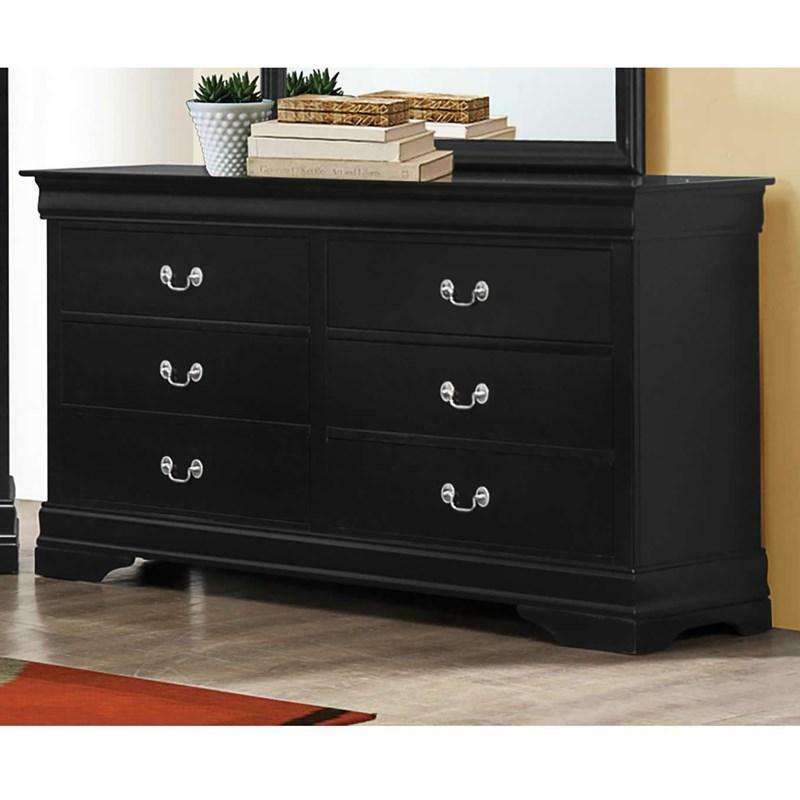 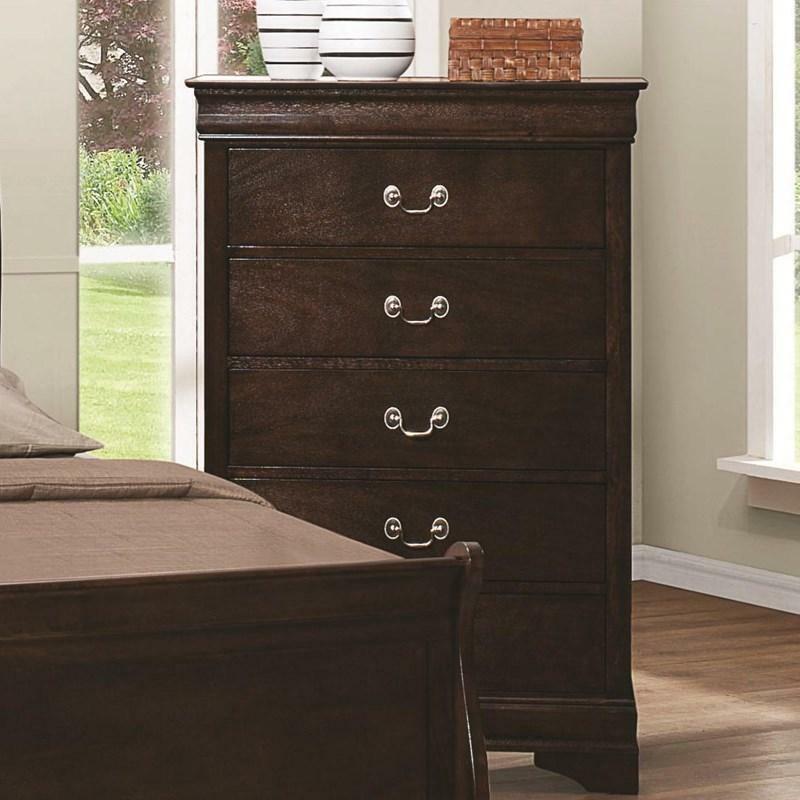 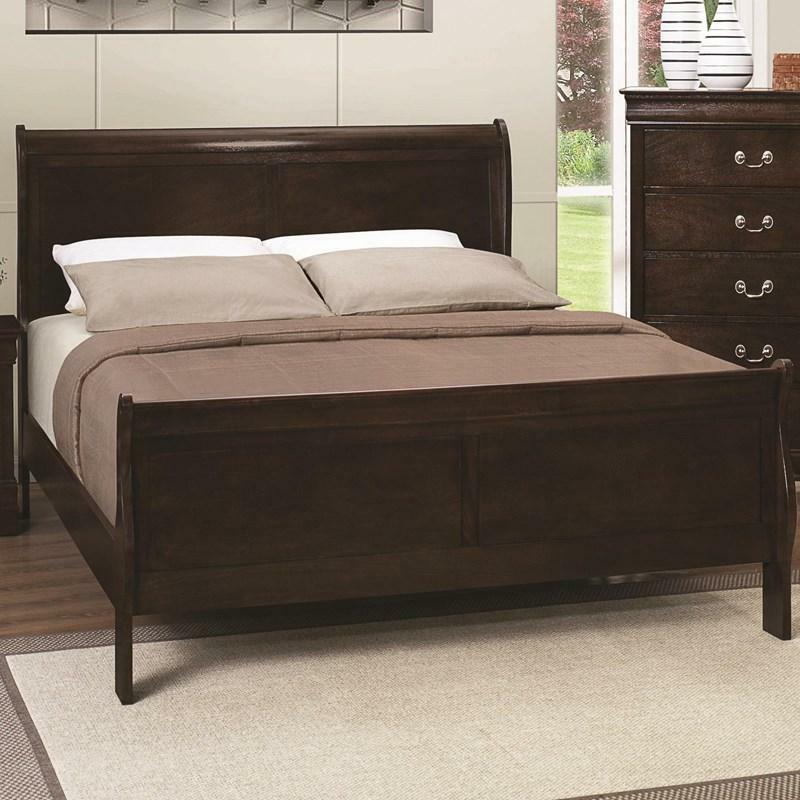 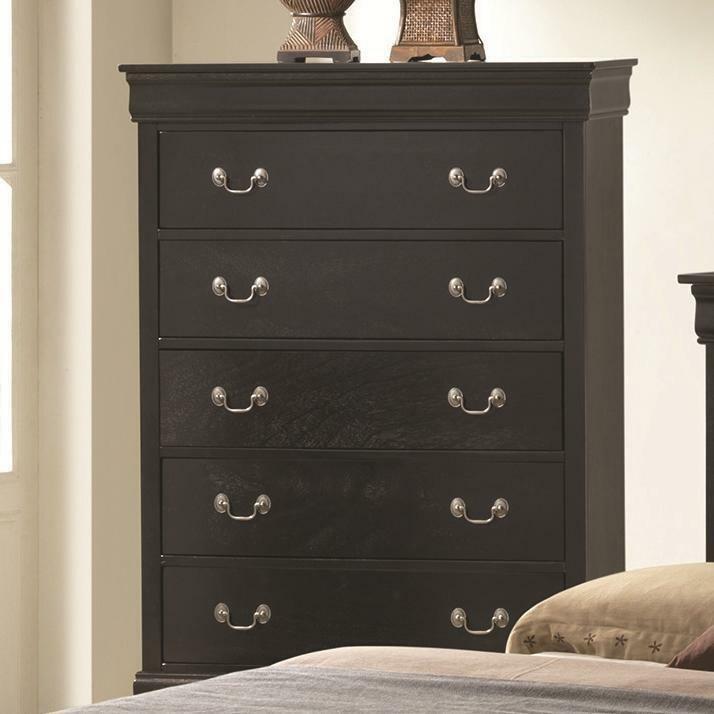 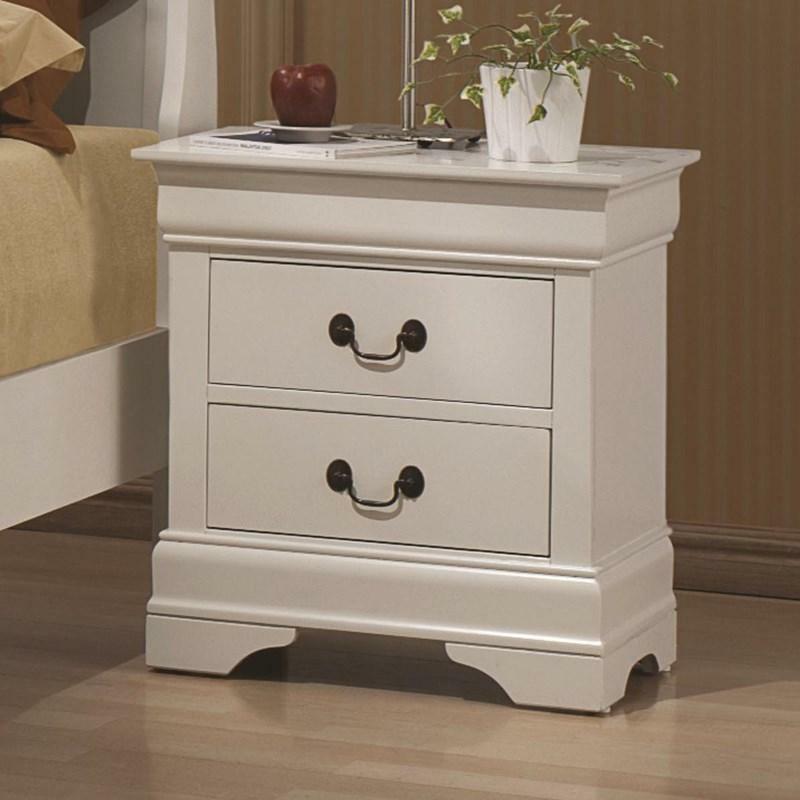 The drawers are adorned with bail drawer handles and it stands on bracket feet. 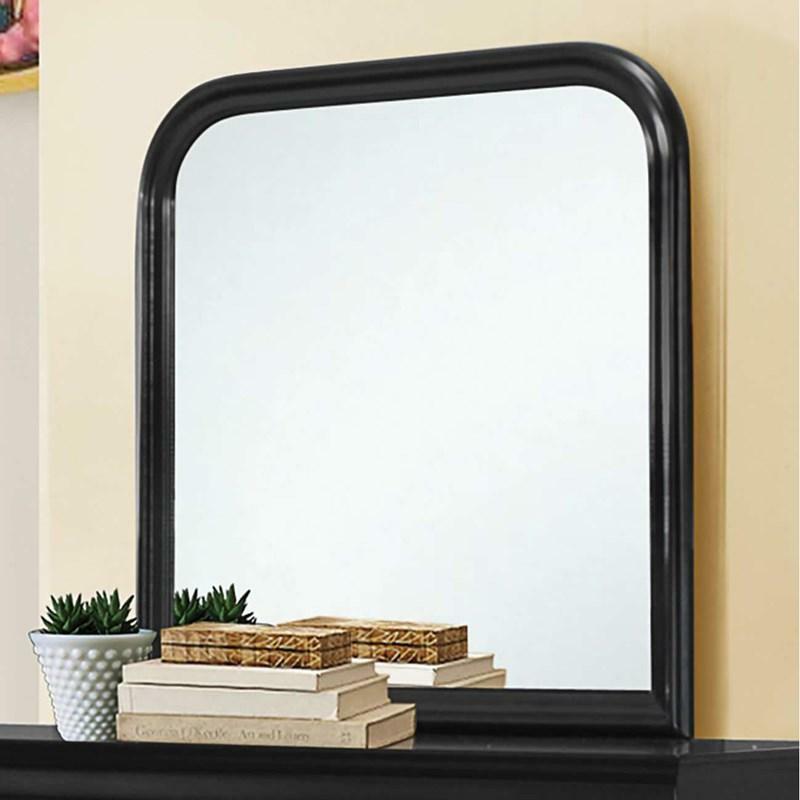 Volume 6.57 cu. 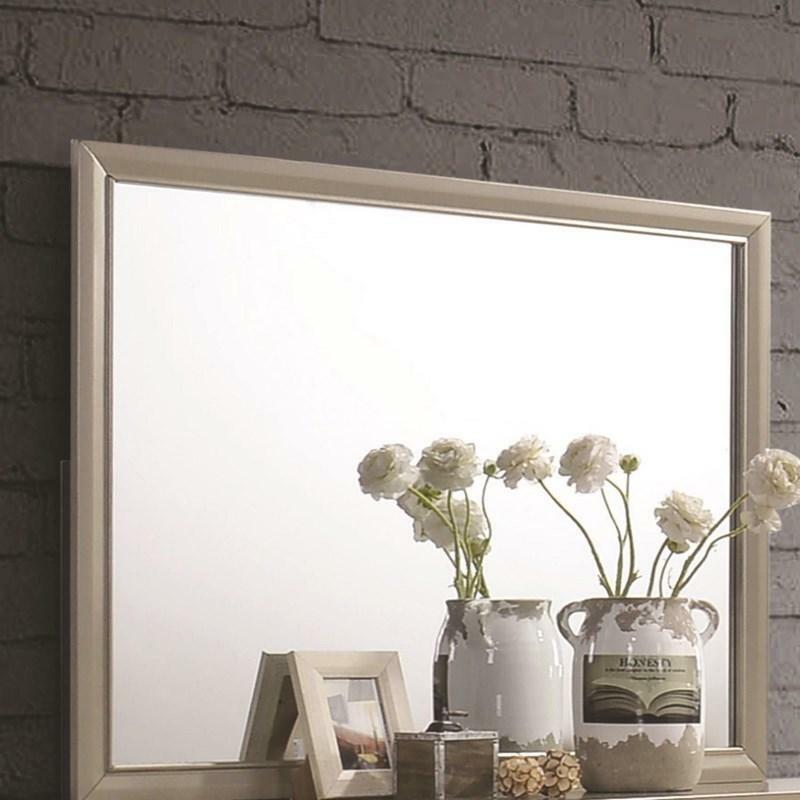 ft. / 0.19 cu. 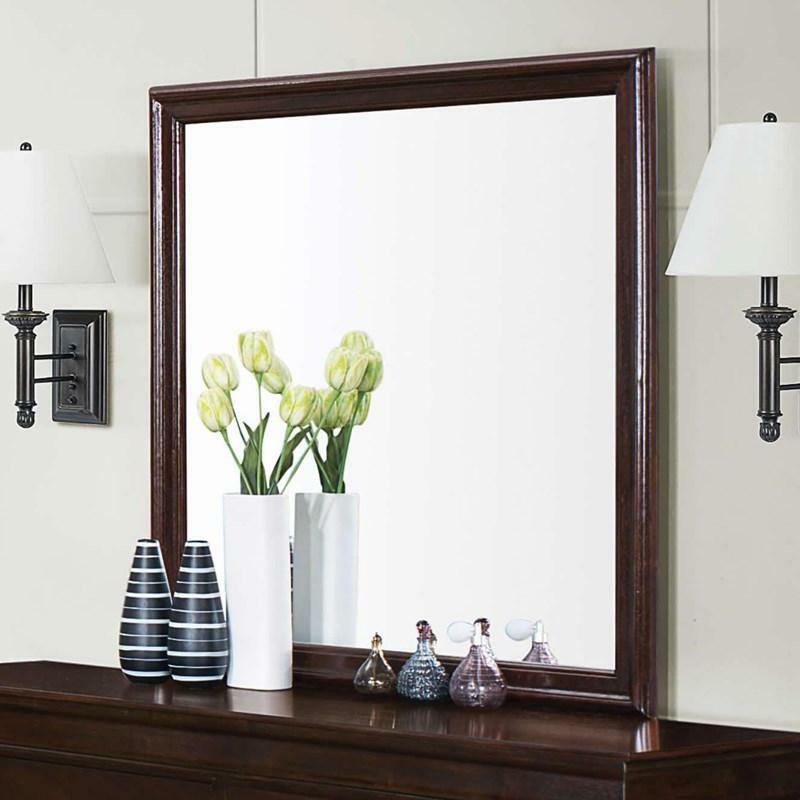 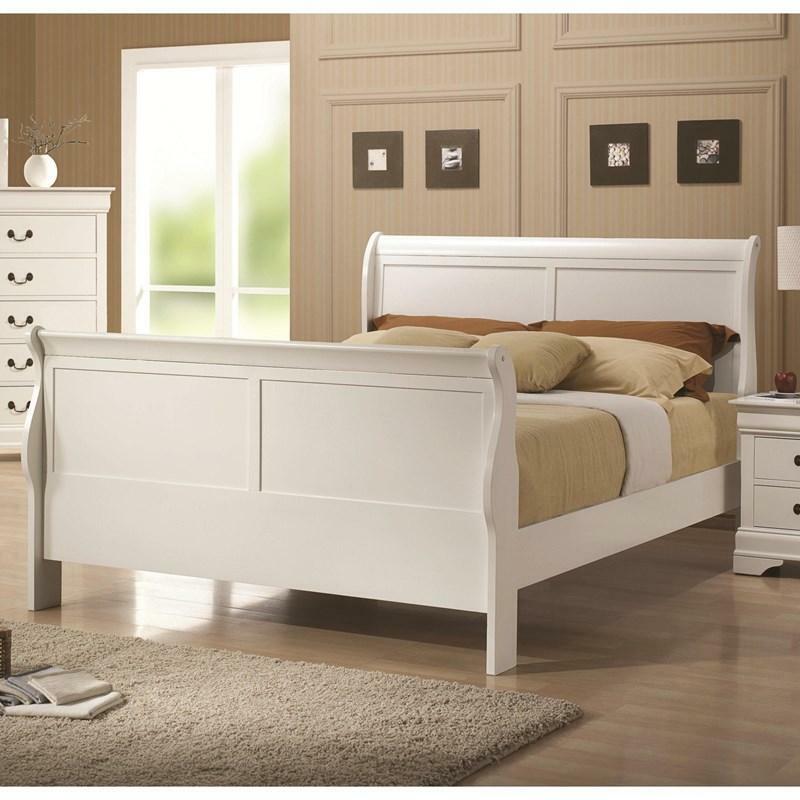 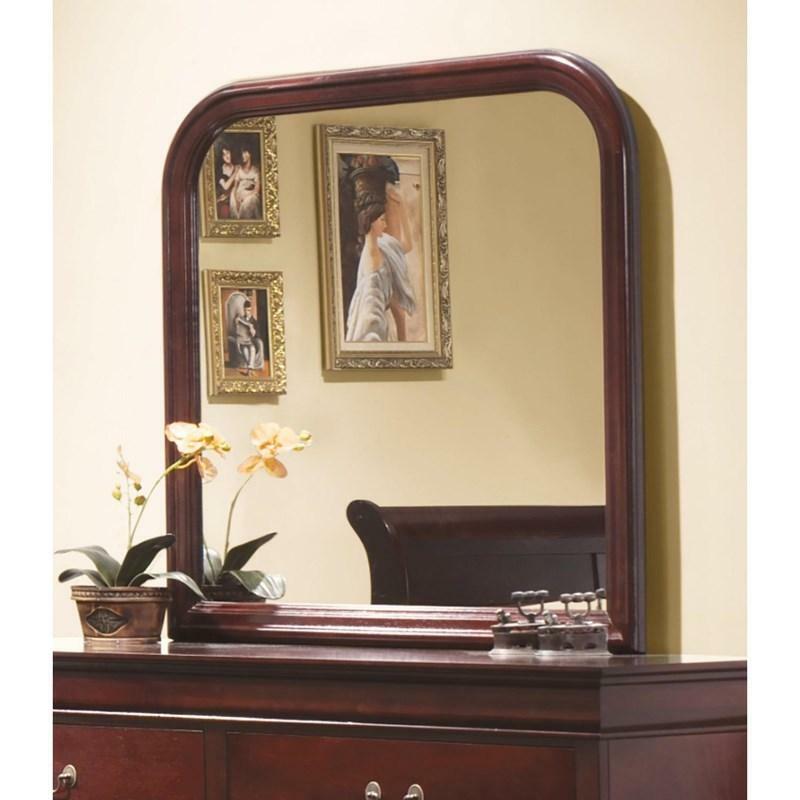 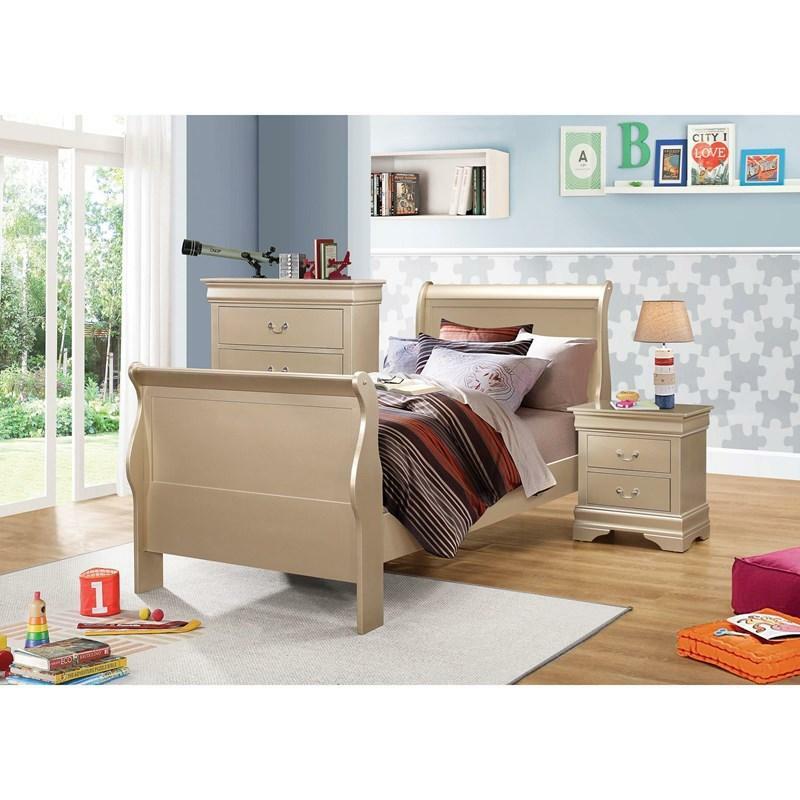 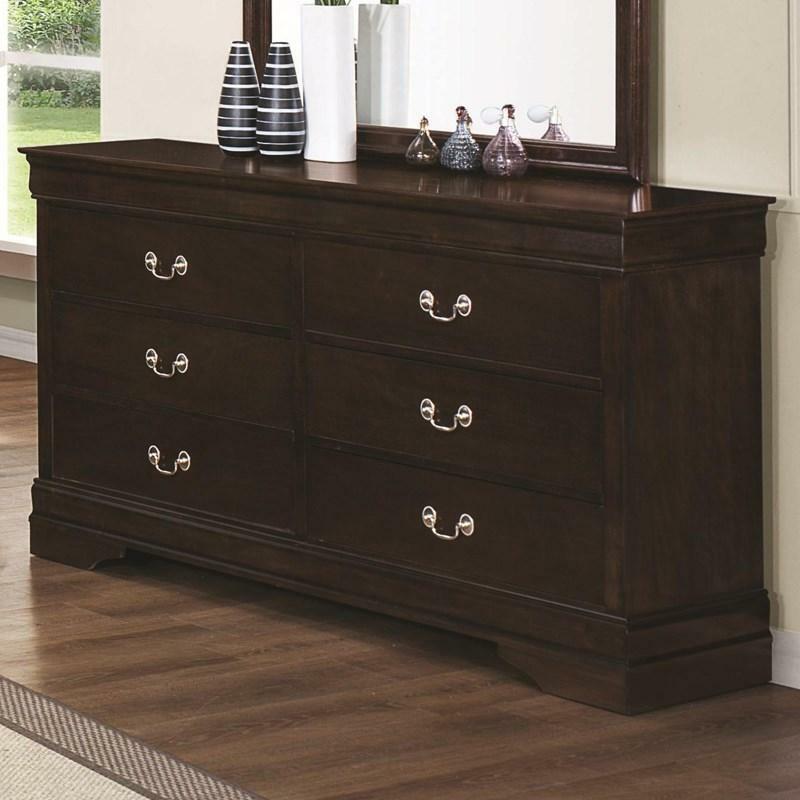 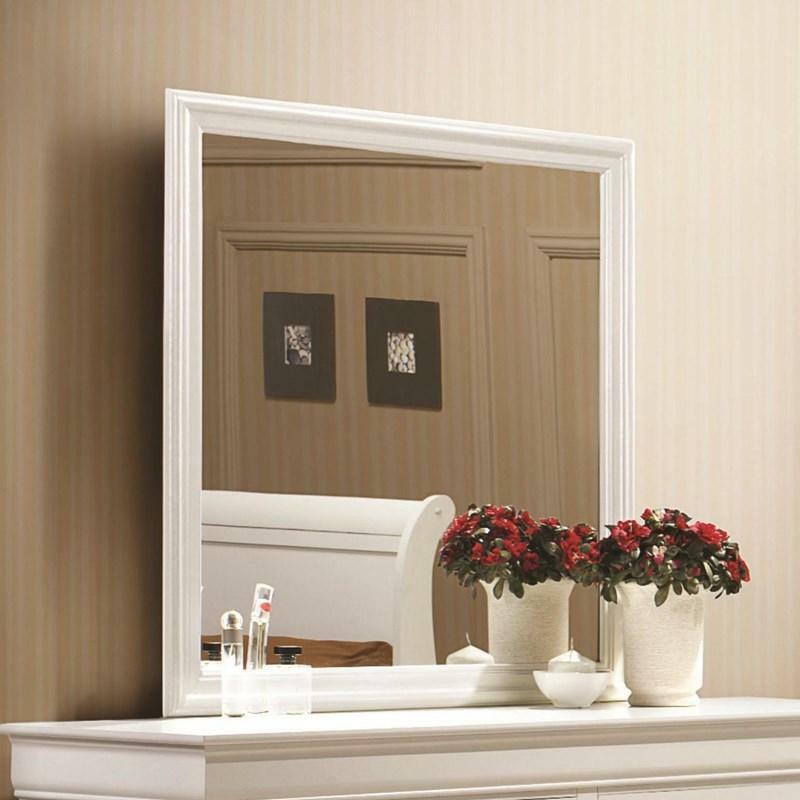 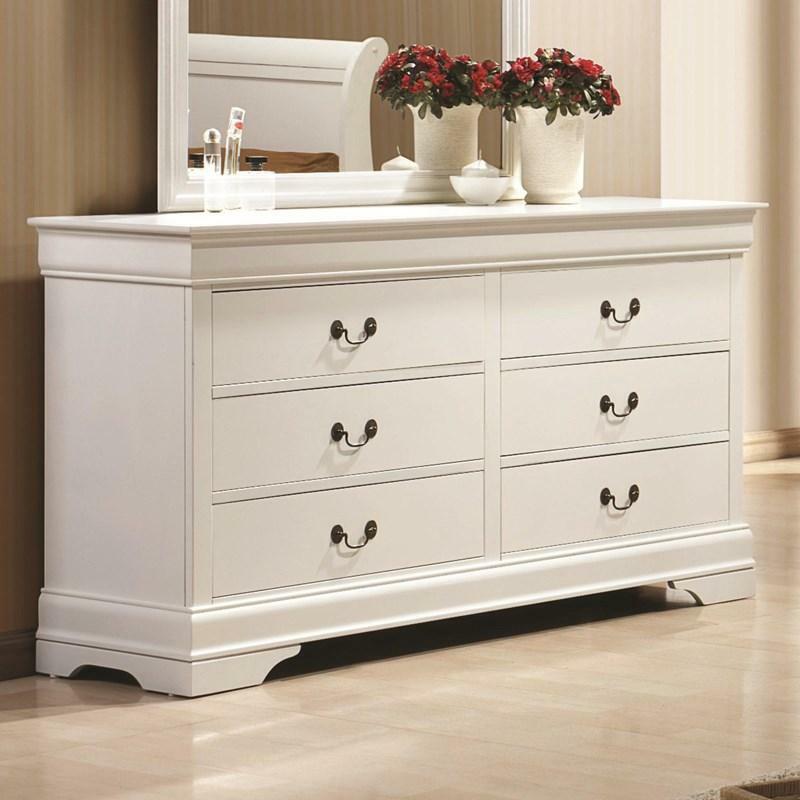 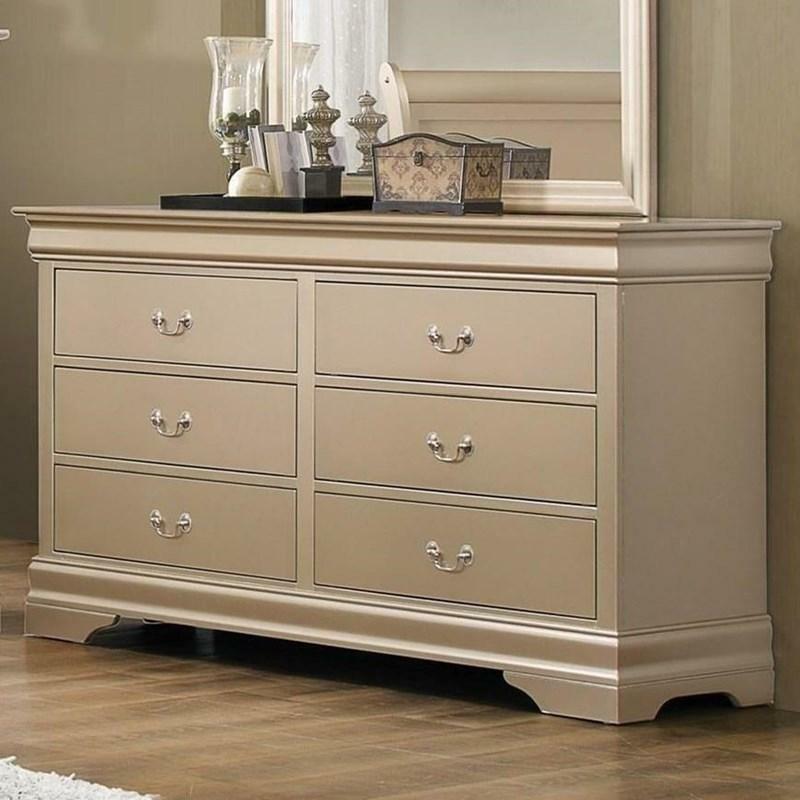 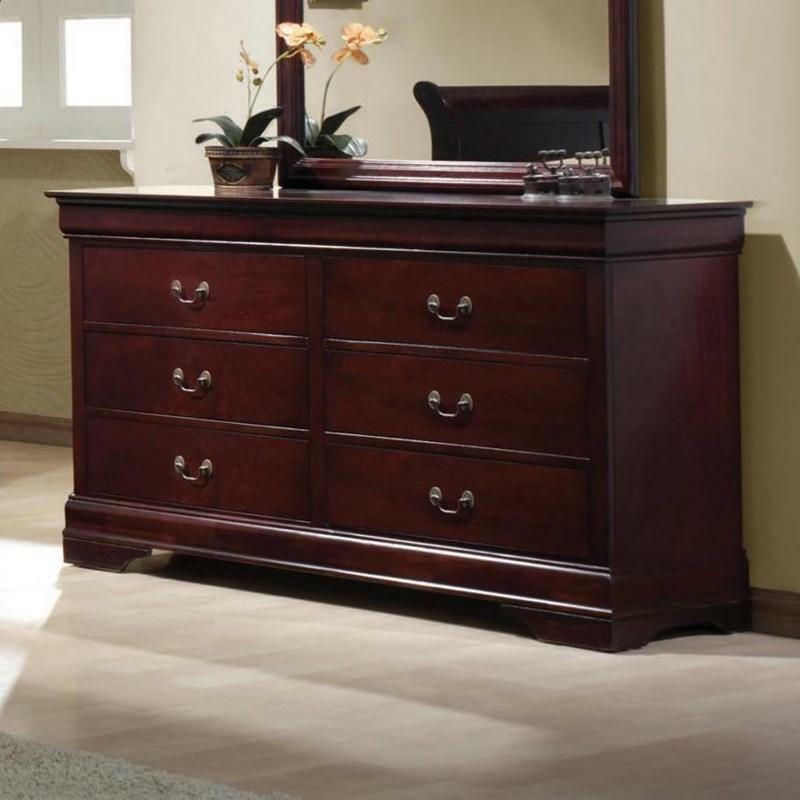 m.
The Beaumont Dresser Mirror comes in champagne finish and has a landscape design.